I've worked at some pretty thoughtful bars, where the level of craft and attention to detail were absolutely mind blowing. At my last bar, The Interval in San Francisco, we stirred our drinks with thermometers to achieve perfectly consistent dilution and at staff meetings we tested our liquid measurements against a graduated cylinder. We blind tasted and scrutinized the pedigree of every product we carried, and labored tirelessly to refine and perfect our drink recipes, all in the pursuit of making the best version of a cocktail we could for our customers. That was our thing and it was wonderful. Though what works at a bar like The Interval can be totally unreasonable at home. I live in a small apartment, I have to choose between a dozen different homemade syrups and open bottles of vermouth in the fridge or, you know, food. Do I really need four mixing glasses in my cupboard? I have very limited space in there and it might nice to own a food processor. What to do? If a cocktail tastes great, It's a great cocktail. Bespoke, house-made ingredients, complicated, time-consuming procedures, fancy equipment and rare, expensive ingredients are not inherently necessary for making a delicious cocktail. Those tools are wonderful in the right context, but they don't always make sense and can even make a cocktail worse if they are used unnecessarily. There is a basic level of quality that should be observed -- you can only get so far with well whisky and soda gun ginger ale -- but making a great cocktail doesn't have to be complicated. We live in very fortunate times, as there is such a bountiful variety of excellent spirits and beverage products available almost anywhere. 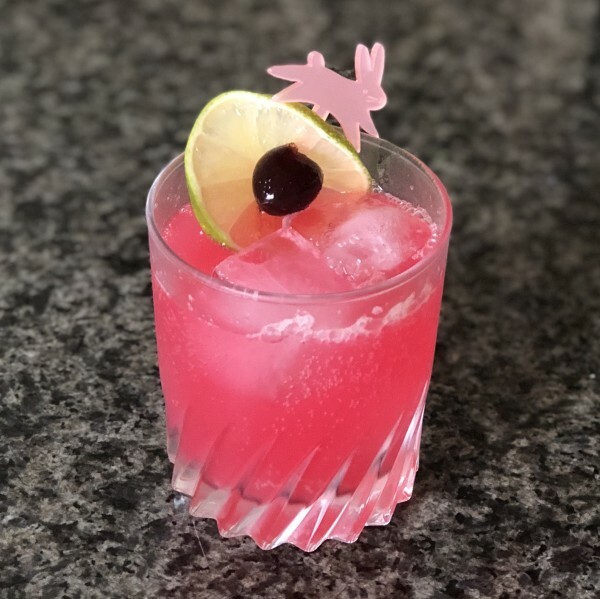 We don't have to make every ingredient in house to have a good cocktail anymore, and often it doesn't make sense to do so. There are hundreds of dedicated and experienced producers out there making spirits, bitters, syrups, soft drinks and other ingredients at a much higher level of quality than I could ever imagine making in my kitchen at home. If you have the time, space, desire and resources to make your own tonic, go for it! But if your goal is to just make a delicious g&t for you and your friends, you simply have to buy a good gin, buy a good tonic and slice some citrus. Then you have a cocktail that's as good as the ones served at top cocktail bars, and it didn't take years of experience to achieve. More importantly, you can easily make something that works for you, your tastes and your budget and it will be more special and unique. It was a huge hit! Refreshing, balanced and easy to make. The proportions can vary a little and it still tastes great, and the ingredients aren't terribly hard to find or keep around. Any good 100% de Agave blanco tequila will work for this cocktail. I used Bundaberg Guava Soda, but it works with other brands as well. The cocktail can also be made as a large batch in a pitcher or a punch bowl to serve a group of friends.